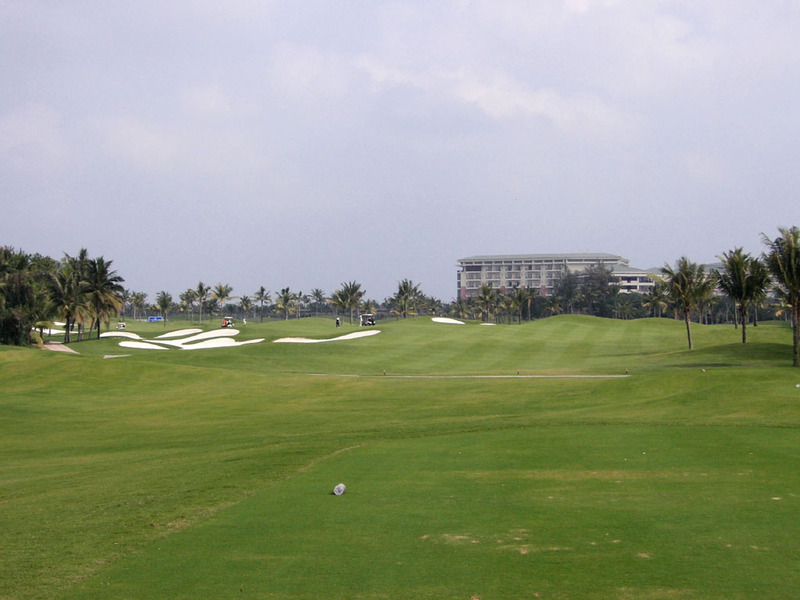 Despite being a flat resort course it is liberating to play. 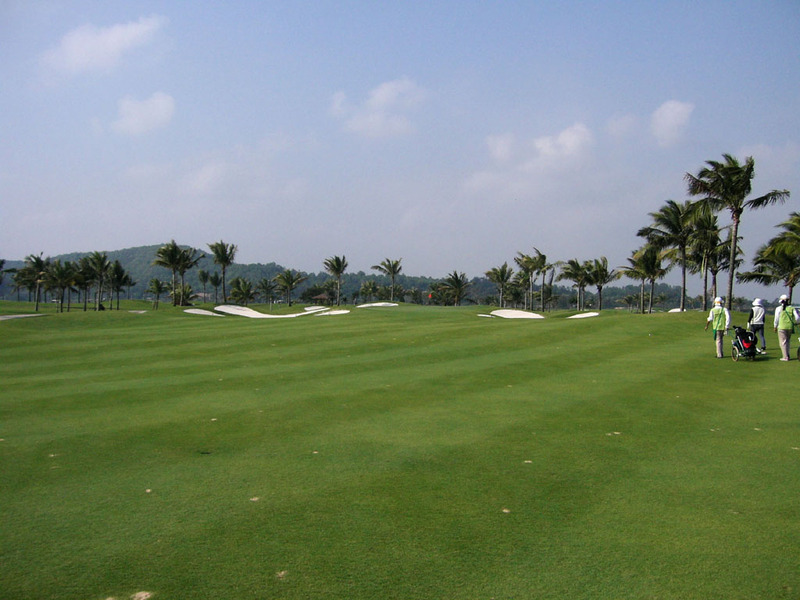 The greens and fairways are in excellent condition for a resort course. 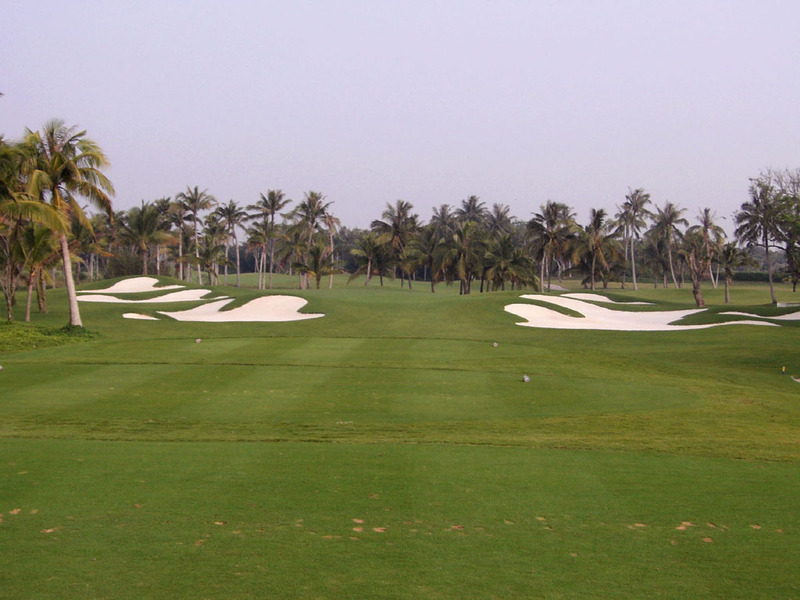 The fairways are wide but strategically placed fairway bunkers as well as water hazards come into play on approach shots, so you need to hit meticulous shots. The total number of the bunkers is 109. The greens are big and undulated. 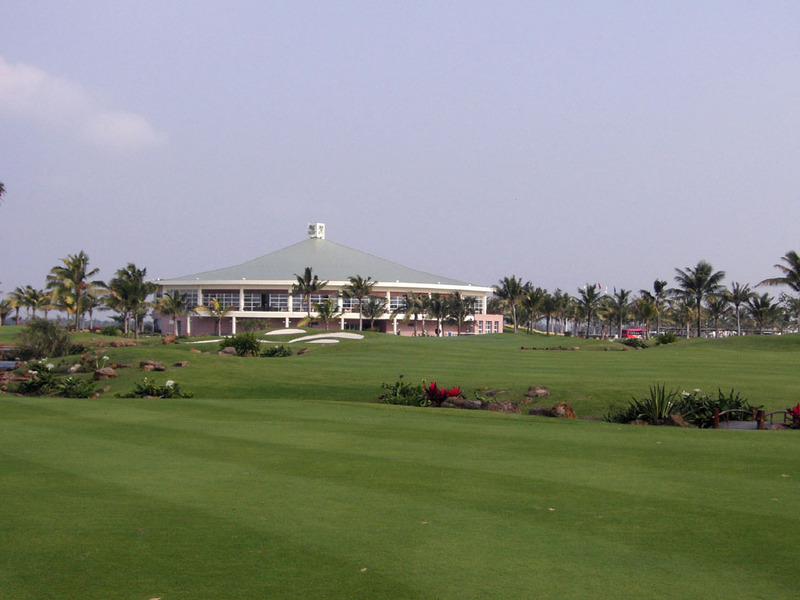 The course is located near the ocean and the sea breeze increases the difficulty level. 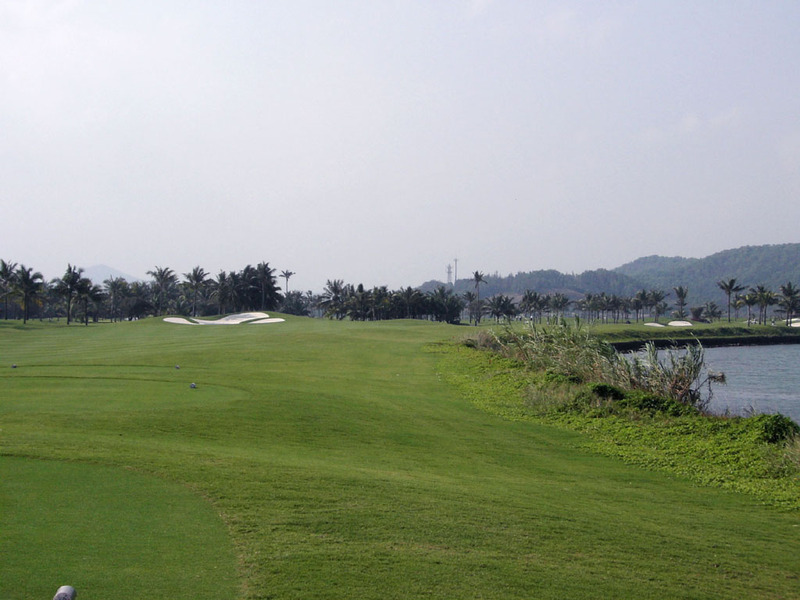 The front 9 holes have an excellent layout while the back 9 holes make use of a natural in Land River. 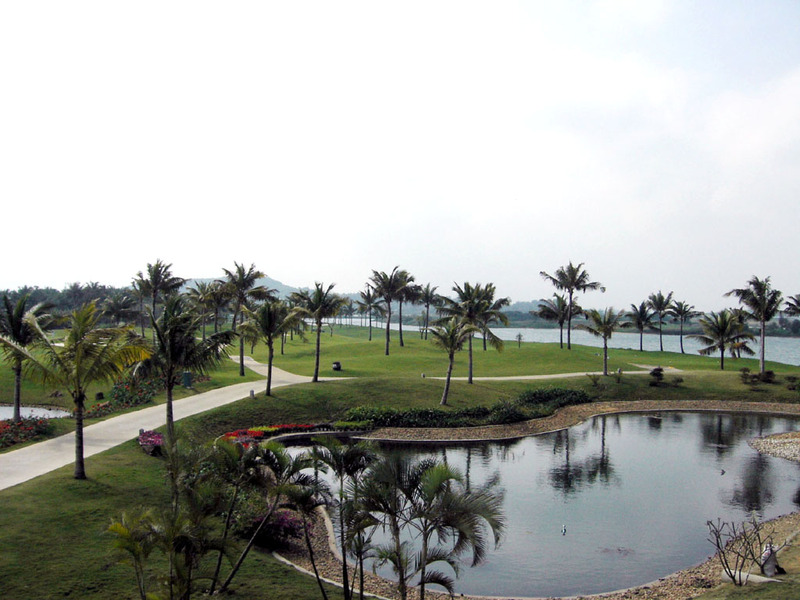 Overall, you will enjoy the beautiful scenery and surroundings. Bunkers protect the elevated green. 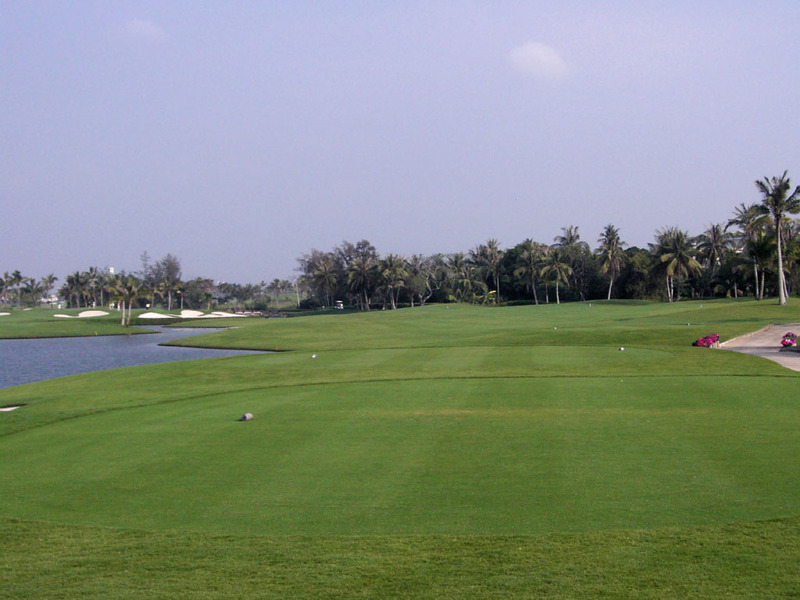 Two fairways split by a lake give you the option of driving left or right. 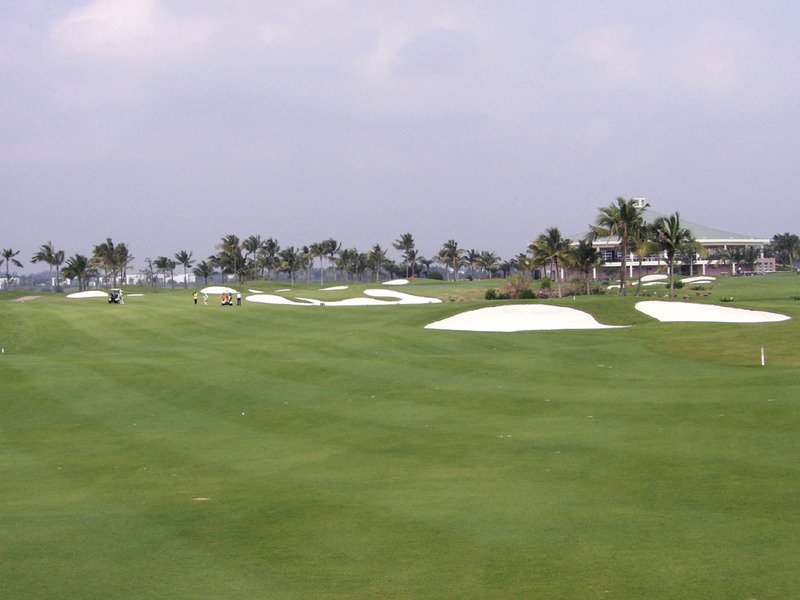 The left fairway gives you a short cut to the hole but requires an accurate 230-yard carry off the tee. Water on the right and bunkers on the left eagerly await an errant drive. 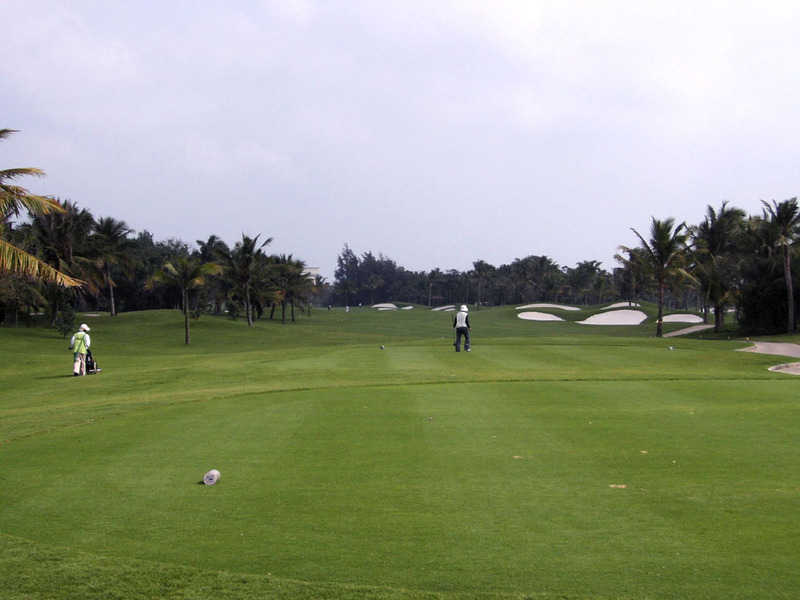 As long as the demanding tee shot is successful, the approach shot is not difficult from there. 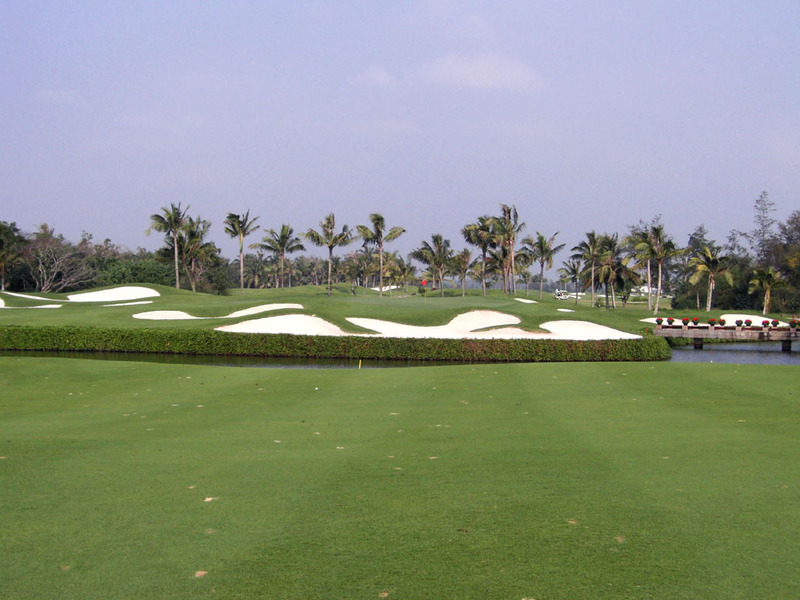 The right fairway offers the safer option off the tee, which makes this hole a dogleg to the left. 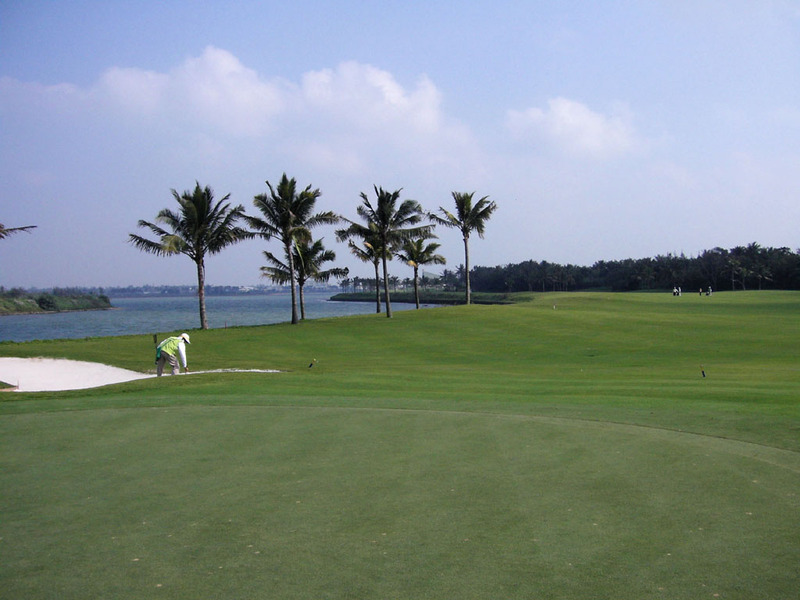 However, the second shot is more difficult requiring a long approach shot over water. 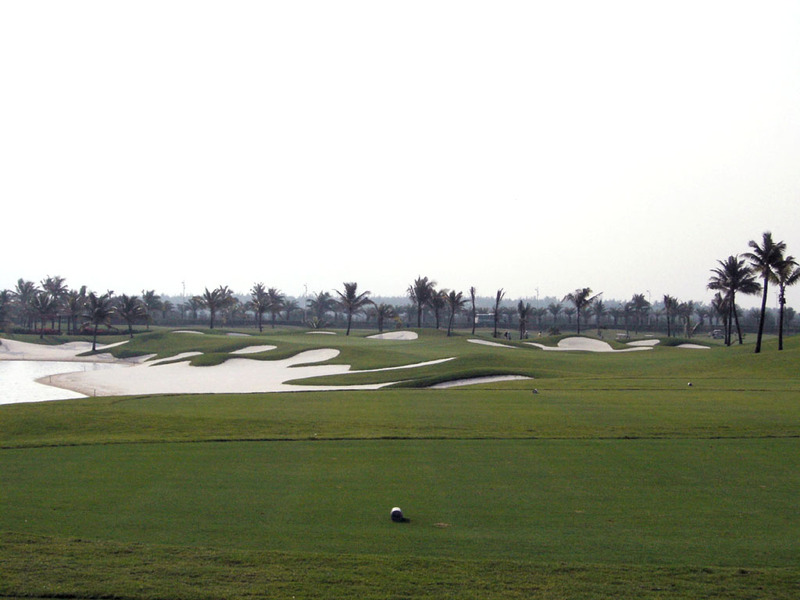 This is a similar layout to Hole 8. 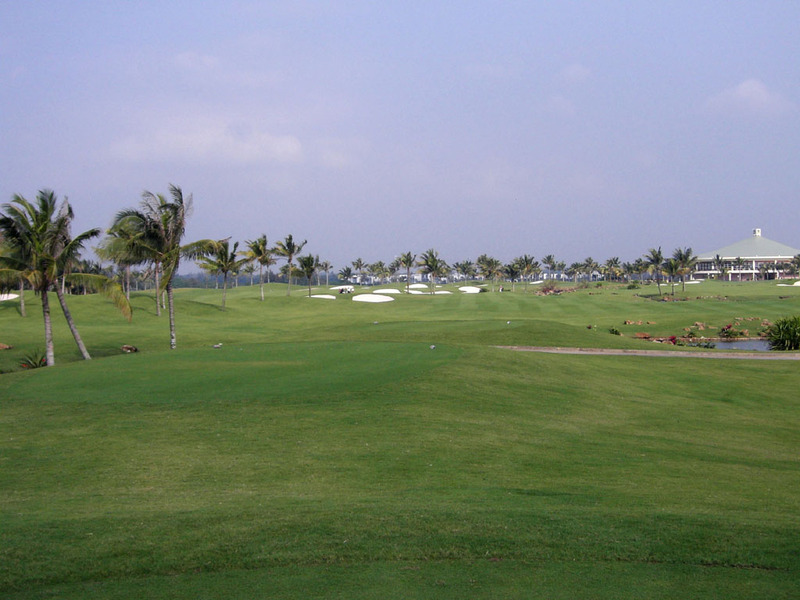 Two fairways, left and right are also provided split by a creek. To attack the pin nearly, you need to hit to the right fairway but must carry the ball 220-240 yards in order to clear the creek. Tail wind encourages you to hit try for a longer carry. 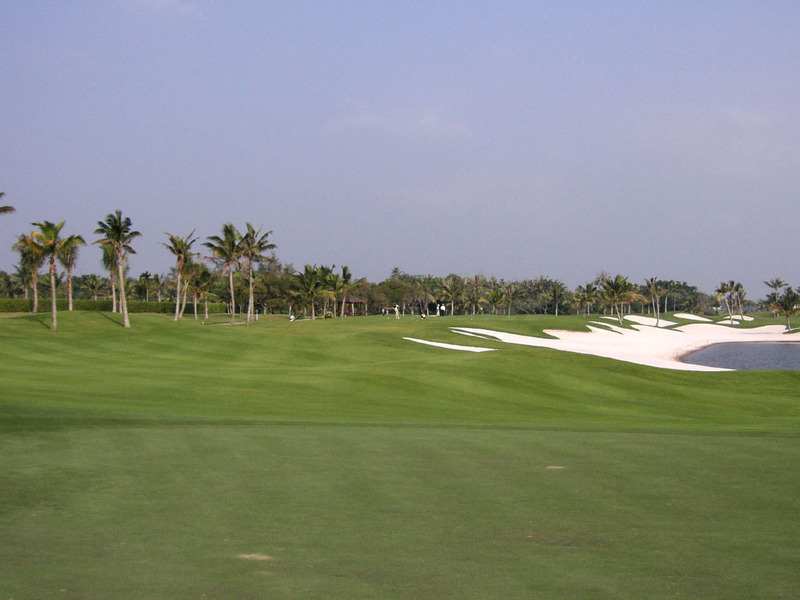 If you choose the safer route down the left fairway, the hole becomes a slight dogleg to the right. A good dogleg to the right along the river, taking advantage of the natural terrain. 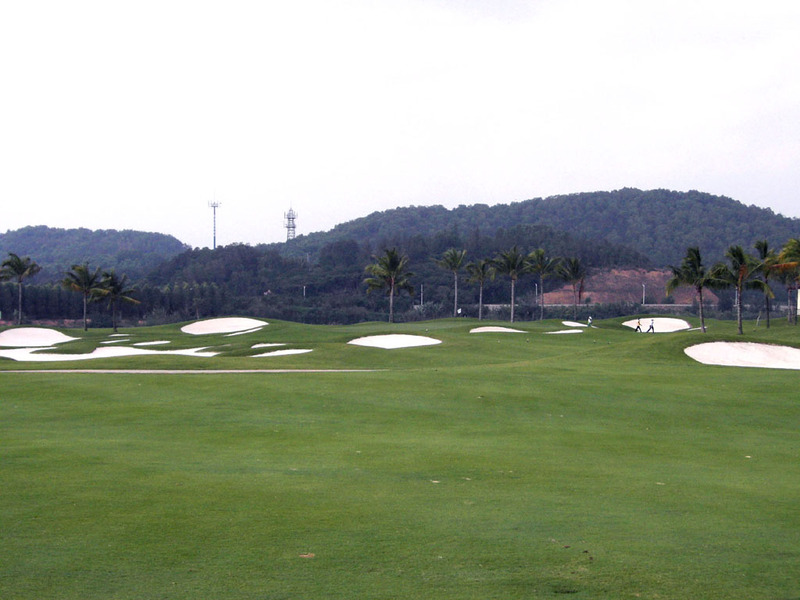 A precise approach shot is needed as the green is well protected by bunkers. The view seen from green is magnificent. There are many bunkers crisscrossing this hole. The beautiful fairway bunkers are not much in play but bunkers guarding the front of the green definitely are. Because the hole doglegs slightly to the left, you need to hit the right side of the fairway but well-placed fairway bunkers narrow most of the fairway. The green is slightly elevated and the bunkers guarding the left of the green should be avoided as they are deep. An “S” shaped par 5 to start with a dogleg to the left with the green swung to the right lasting the end. This is a long par 5 but even longer if a head wind blows. There is water on the right side of the green. 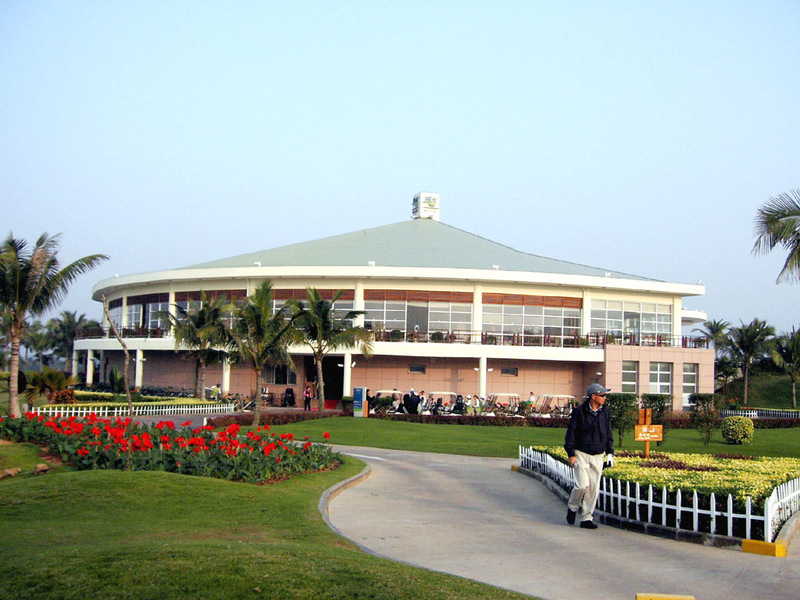 IIt takes 1 hour and 30 minutes from Haikou by car. 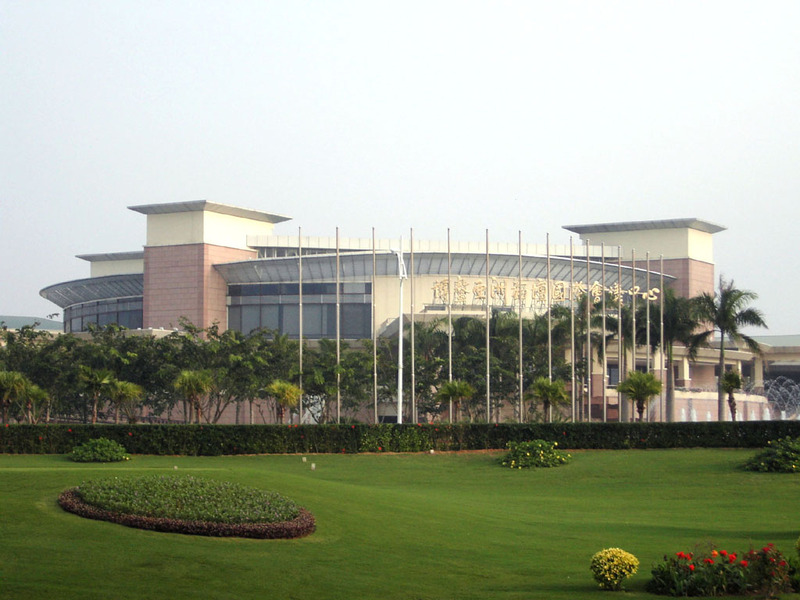 The adjacent Sofitel Boao Hotel is luxurious. 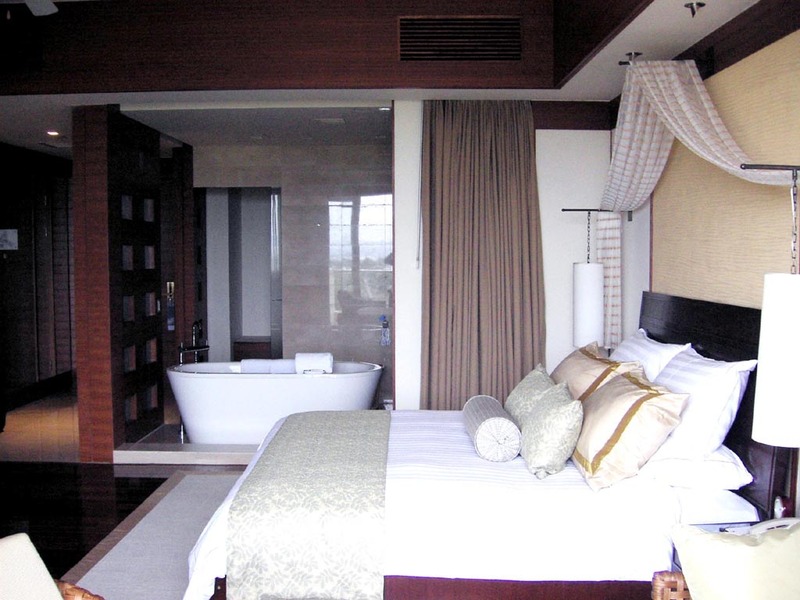 This is the hotel world leaders stay when important international conferences like APEC are held in China. Facilities in the hotel and furniture in the room are first rate. 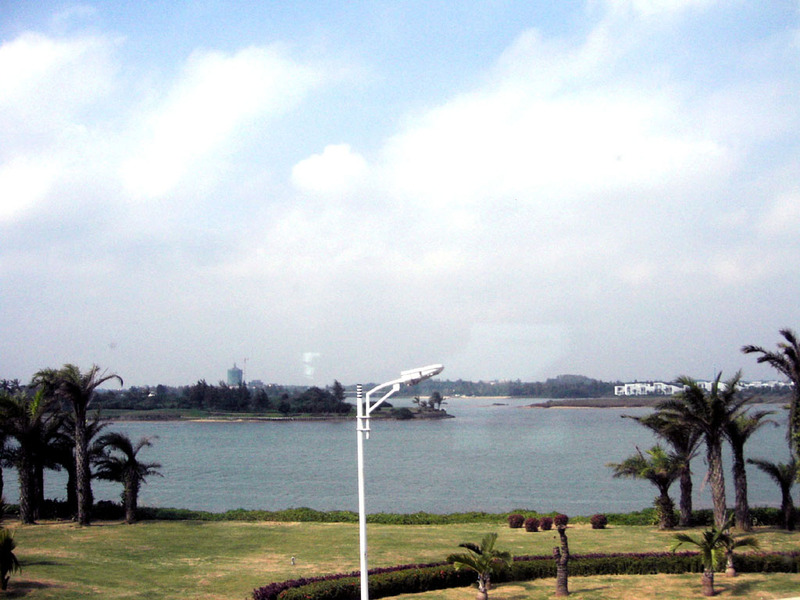 Also world leaders meet at International Convention Center seen from the course. The course title, BFA stands for Boao Forum for Aisa. 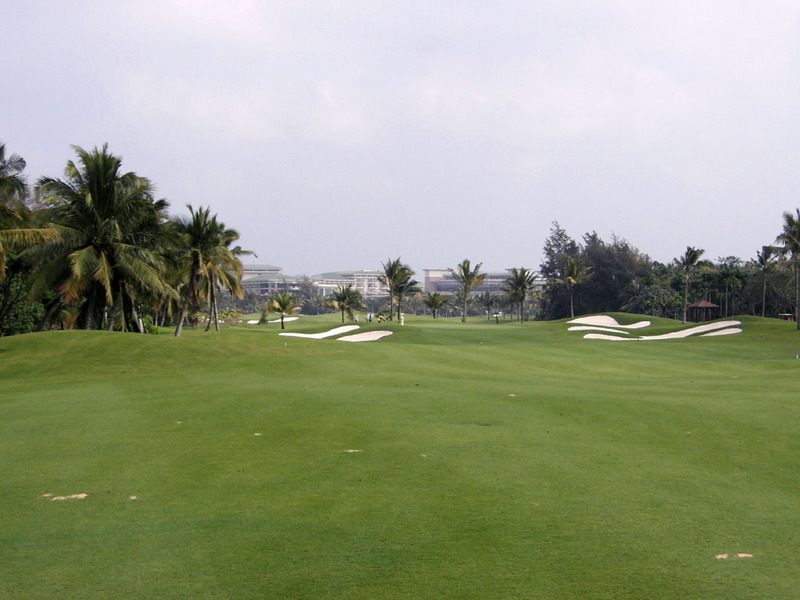 I was allowed to play from the gold tees, (the longest tees), after I showed the starter a single-handicap certificate. The designer, Graham Mash, is an Austrian PGA and used to be very successful on the Japanese PGA tour. 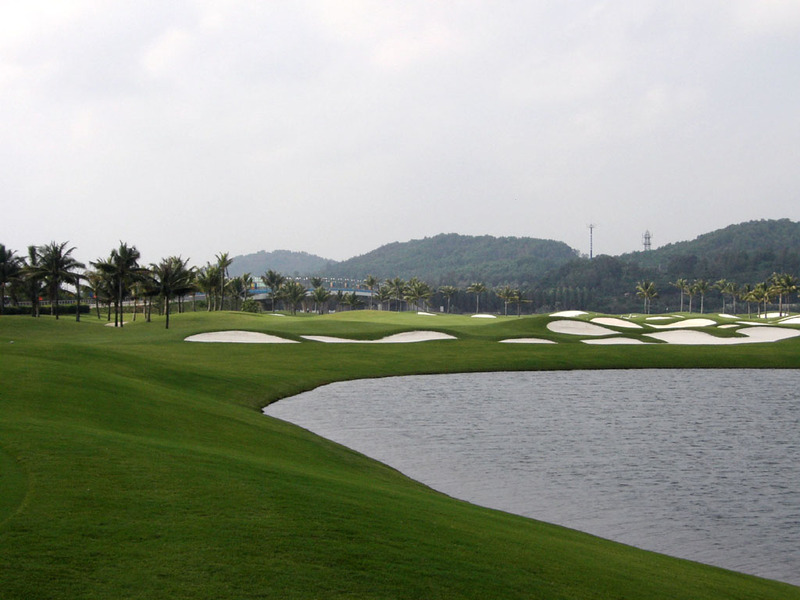 He has designed less than 50 golf courses mainly in Austria and Asia. 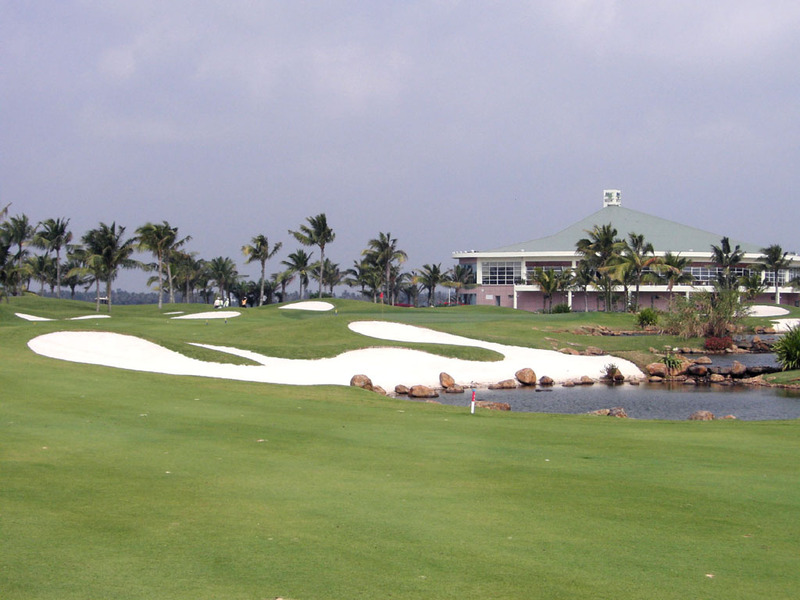 AS far as Asia is concerned, Penang GR, Tropicana G&CC, Penang GR and Staffield CR and Stera Harbour G&CC are his designs in Malaysia, Fairways & Bluewater RG&C and Royal Northwoods G&CC are in Philippine, Klub Golf Bogor Raya, Gading Raya Pading GC are in Indonesia, Silk River CC is in Korea, Mission Valley GC, Kagoshima Gaden GC and Karuizawa 900 C are in Japan and Beijing Huatang International GC is in China.